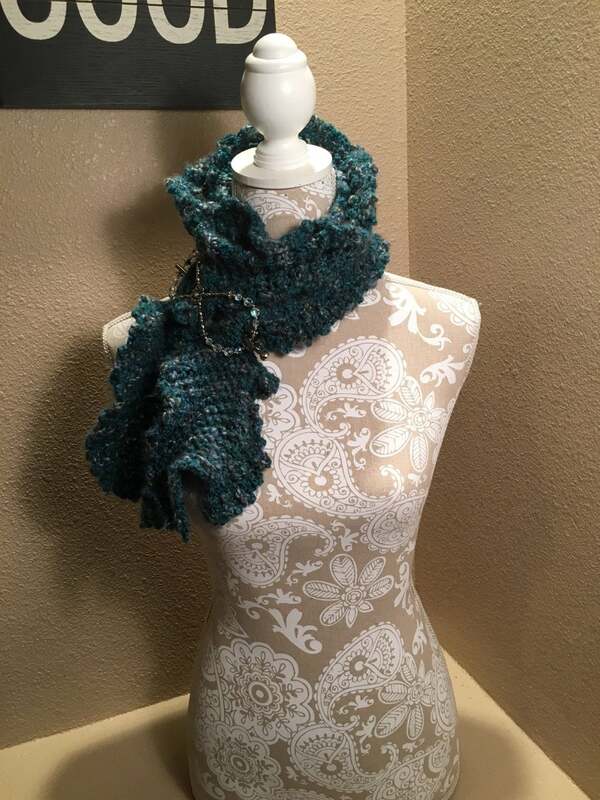 The peaks and valleys of this scarf’s ruffled edges remind me of my favorite view of the Rocky Mountains and Pikes Peak. 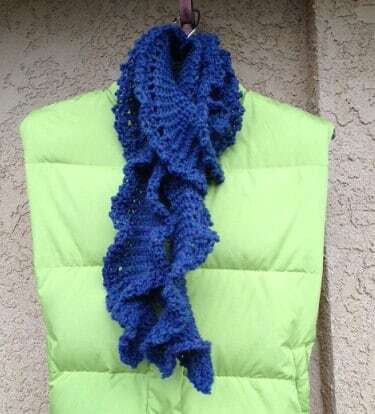 This fun scarf is knit on the yellow Knifty Knitter 38 peg long loom using a worsted weight yarn. 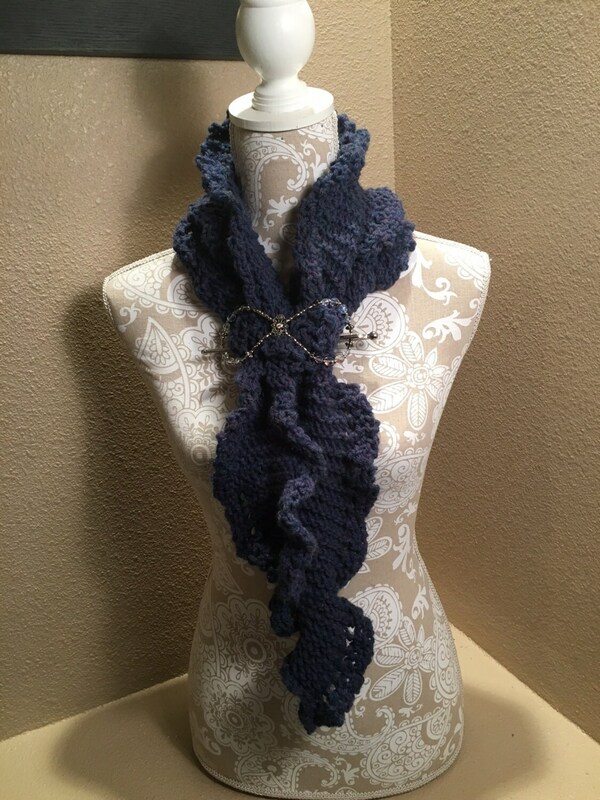 The blue scarf was knit with Lion Brand Wool-Ease. 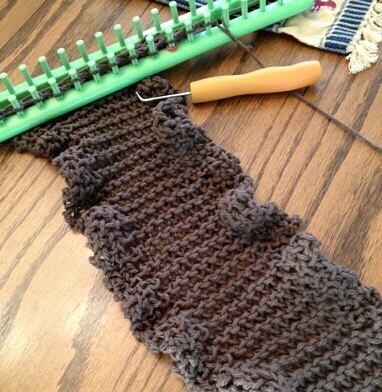 The taupe scarf was knit with Peaches & Creme Cotton. This pattern is suitable for an advanced beginner. 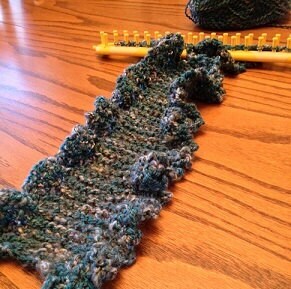 The stitches are fully explained, and the pattern includes step by step pictures to help the less experienced knitter.